268 participants, 34 international and bilingual schools, all across 11 different countries competed in the International Math Challenge hosted by Pan-Asia International School that took place last February 25, 2017, Saturday at the King Mongkut Institute of Technology Ladkrabang for the final round. The international math competition was attended by distinguished guests and VIPs, former Deputy Minister of Education Dr. Kritsanapong Keeratikorn, Vice Rector of King Mongkut Institute of Technology of Ladkrabang Dr. Supan Tangjitkusonman, Vice Director of the Ministry of Education of Vietnam Mr. Pham Ngoc Thanh, First Secretary – Representative in Chief of the Embassy of the Socialist Republic of Vietnam to Thailand Mr. Phung Tuan Long were present together with Mr. Idris Kalkan, Head of Pan-Asia International School and Ms. Sumalee Wichaidit, the Pan-Asia International School Thai Director. The competition features intense word problems from Math Olympiad tests and the ongoing series is designed to test students strengths in math intuition and hone one’s skill in creative problem solving strategies and proficiency in problem solving techniques and to discover the fun side of math. 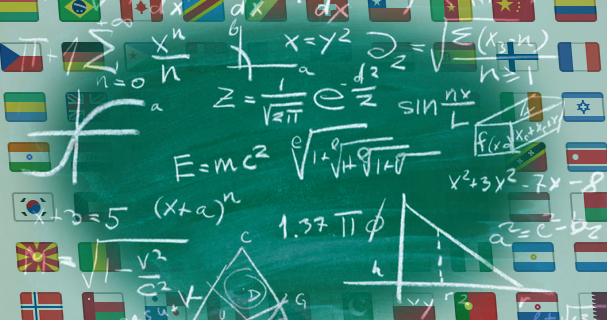 Aside from that, Math Challenge is a channel for global participants to observe internationalism and global values they learn in their respective schools.